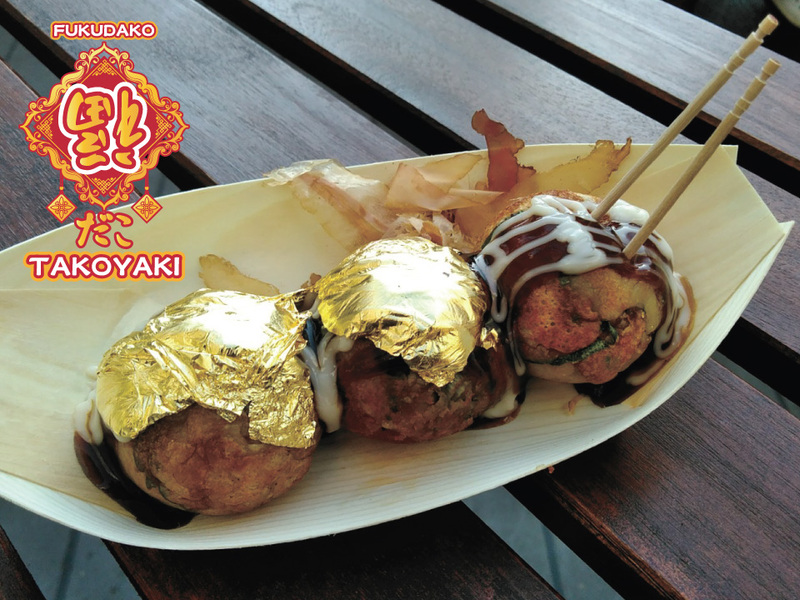 Gold Leaf Takoyaki, calls good fortune, is only available here! 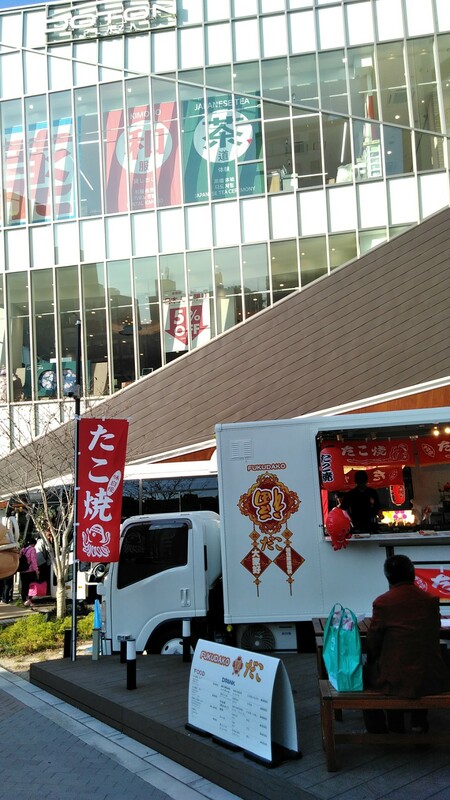 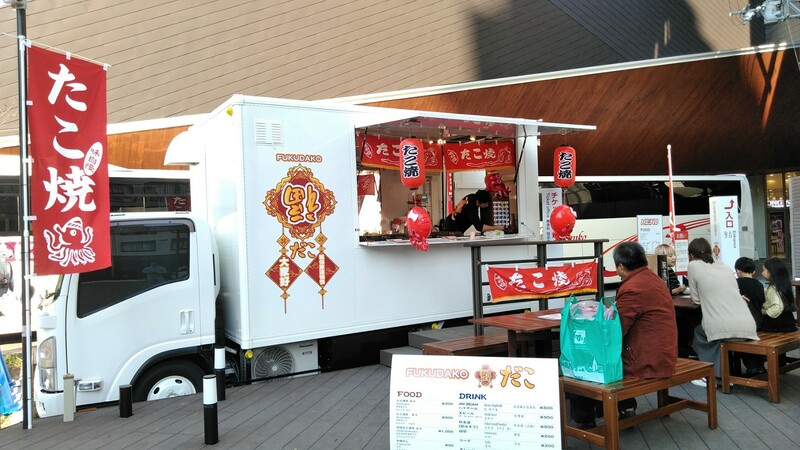 Auto-turned takoyaki cooker on big food truck is newly opened at right in front of Doton Plaza (right next to Sumo wrestler statue). 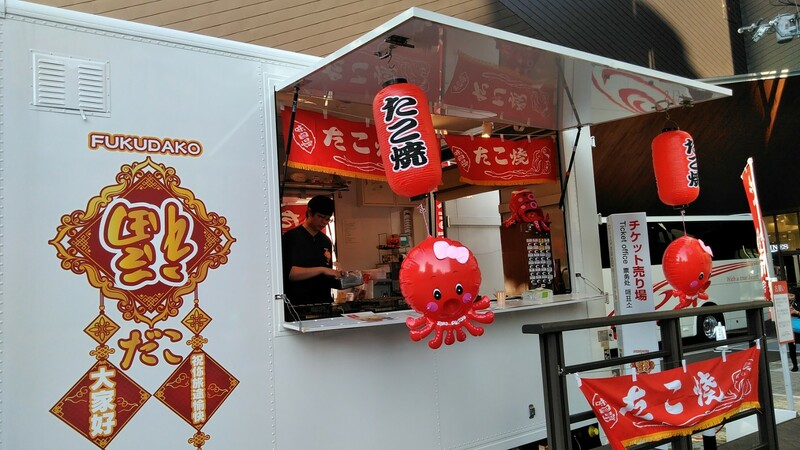 Calls good fortune by eating Gold leaf takoyaki, and make a memorable Osaka trip!